Roberto Lugo would know. The contemporary sculptor and potter has worked in clay for over a decade and, until recently, his career had managed to stay controversy free. 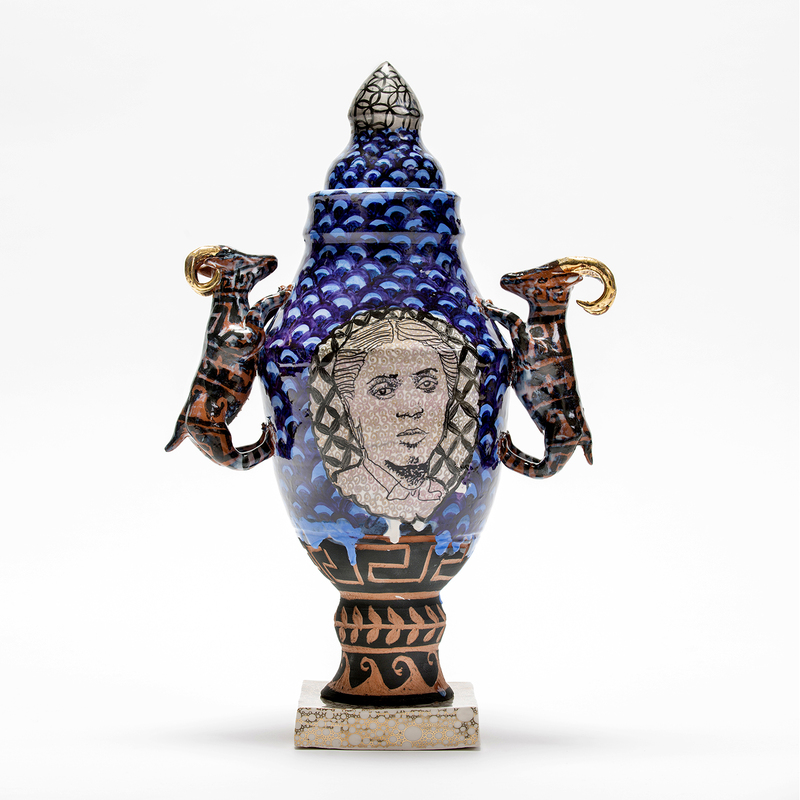 When The Walters Art Museum announced his new series of museum-inspired ceramic objects, part of their new renovation and installation at 1 West Mount Vernon Place, in conjunction with NEA funding, a right wing blog selected Lugo’s work as an example of the kind of political work (trigger: social justice) that tax dollars should not fund. 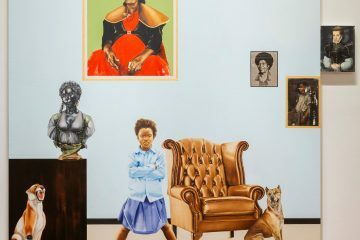 Like Kehinde Wiley after the Obama portrait was unveiled, Lugo’s critics found an example of anti-Trump language in one work on display at Wexler Gallery in Philadelphia, which represents Lugo, and used it to advocate for the defunding of the NEA as a wasteful institution. “I cancelled my Instagram account because it was getting so much hate,” the soft-spoken artist explained, during a recent walk through The Walters. This was particularly frustrating for Lugo because he had spent so much of his career attempting to make a diverse audience comfortable with his ideas and output. 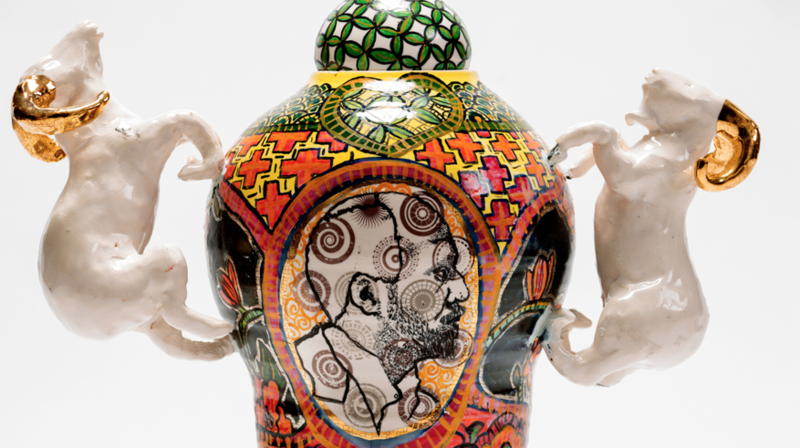 Although contemporary ceramics tend to be technique and materials focused, mostly formal and often functional, Lugo transitioned from making work to please the majority of his white classmates and teachers at the Kansas City Art Institute in the early 2000’s into depicting his own lived experience–as an Afro-Latino man in an urban setting–in order to draw attention to the significant social issues of our time that inspired him the most. “For the longest time I tried to make work that represented the poor neighborhood I grew up in in Philly, the bad education I received,” he explains. “But I was really insecure, so after an intense critique in college, I changed my art and started painting birds and traditional stuff.” Lugo says that his professors and classmates applauded the change from an aesthetic perspective, but after several years he realized that the part of himself that wanted to please others and not offend wasn’t serving his inner artist. 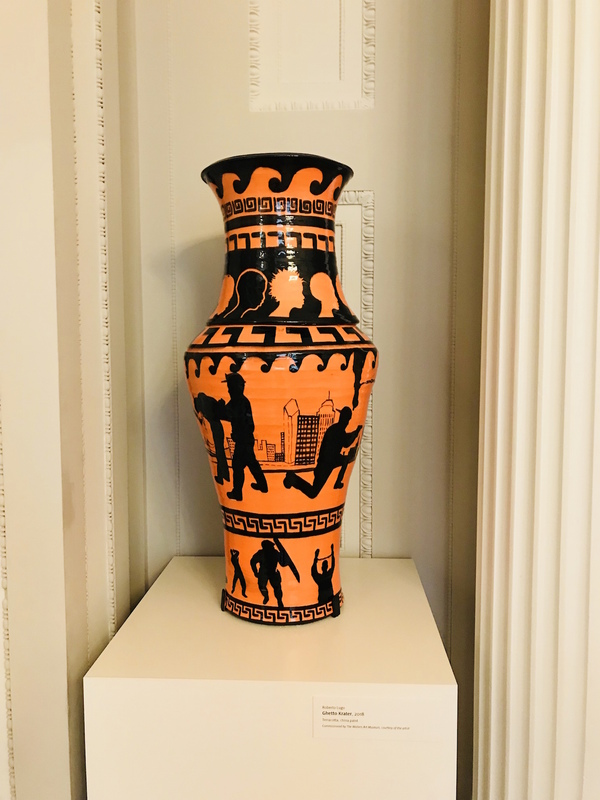 It was Lugo’s dedication to current social justice issues and urban identity, inspired by hip hop and graffiti in America that made him a perfect fit for the opening of The Walters Art Museum’s opening of 1 West Mount Vernon Place, formerly the Hackerman House, a space used historically to exhibit ceramics. 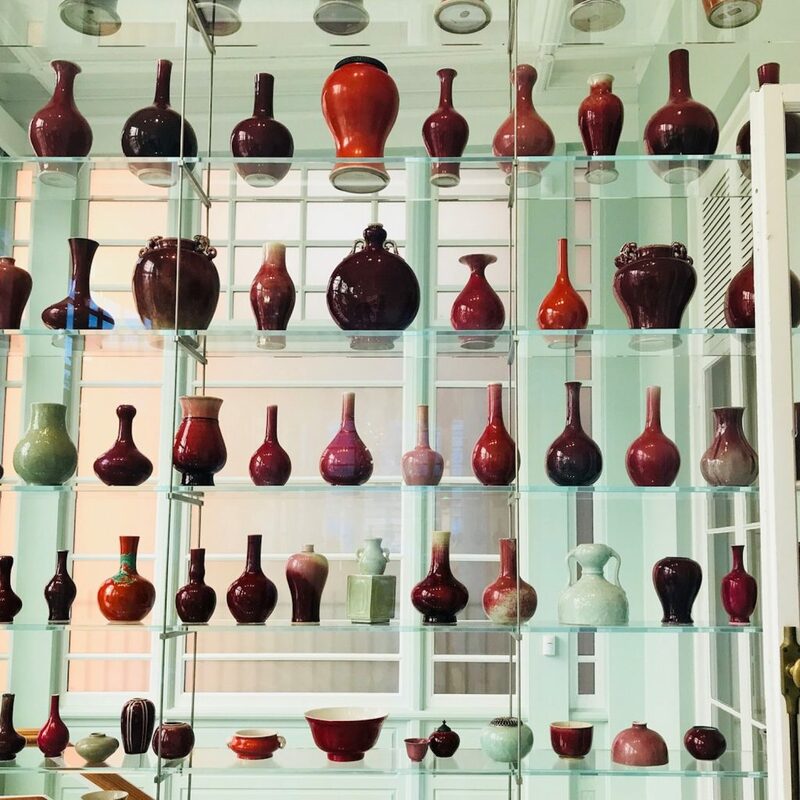 The newly finished mansion, now open to the public, will exhibit selections from the Walter’s vast selection of ceramics, which are enlivened and challenged by the presence of Lugo’s vases, urns, and sculptural works inspired directly from the museum’s permanent collection. Lugo made an initial connection to Baltimore during a two-month residency at The Baltimore Clayworks, after finishing graduate school in ceramics at Penn State. 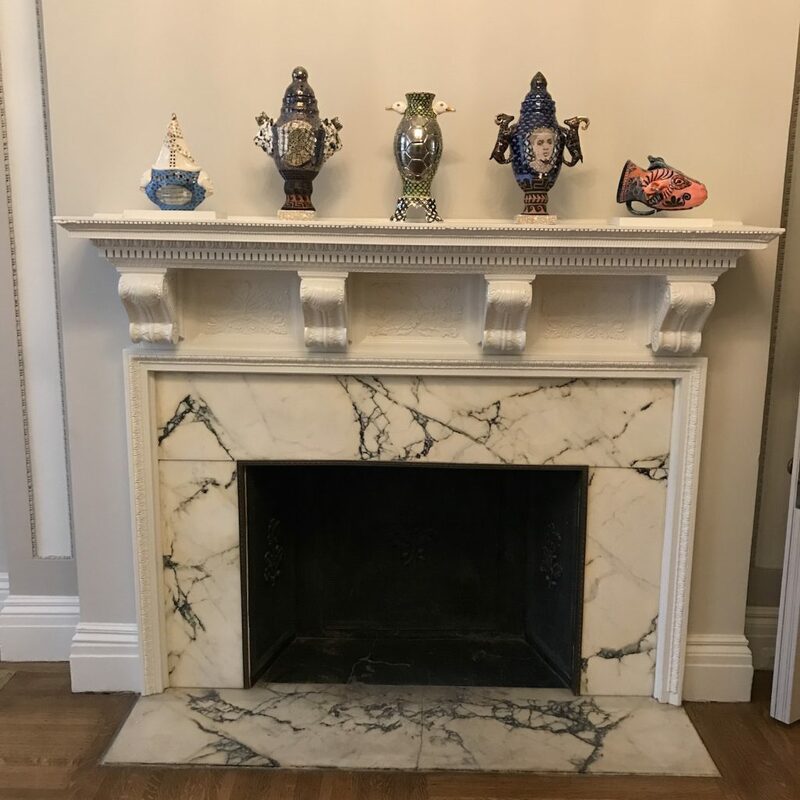 After being selected for the exhibit at The Walters, the Philadelphia resident has been given the opportunity to create a new body of work specifically for the new space, originally home to Dr. John Hanson Thomas and his family and opened as part of The Walters Art Museum in 1991. “I have been working on this project for the last year as the sole focus of my studio practice,” Lugo explained. “One of the things that I found within this exhibition was an opportunity to think about my cultural identity and my relationship to those I am representing in this discourse. I have been researching my family, how we came to America.” Although some of his family is Puerto Rican, also the indigenous Taíno, he says that he discovered that a good portion of his ancestors came from the Congo region of Africa. “I met a painter in Philly from the Congo, a landscape painter, and he always included a door frame in each scene,” Lugo says. 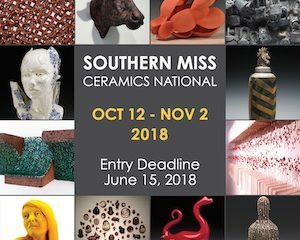 “He said it was the last thing that people saw when they were being put into a slave ship.” The artist explained that he wanted to connect that history to his own lived experience in his own work, to create parallels between the history of decorative arts including ceramics and the history of people of color in America. The concept takes on a heightened meaning at 1 West Mount Vernon Place, where Lugo repeats the shape of the door to the servant’s quarters in an original piece that incorporates a similar shape, segmented into fragments and borrowed ornamentation, with a central tondi with a self portrait. He also used the historic process of red clay, glazing over with white, as a symbolic measure. According to Lugo, the most iconic pieces at The Walters that directly inspired him are two by Della Robbia, who also formed his life-size figures in red clay at a time when Renaissance sculptors were carving marble. “They didn’t have a recipe for porcelain then,” Lugo explains, pointing out the hints of red clay under the brightly colored glazes. 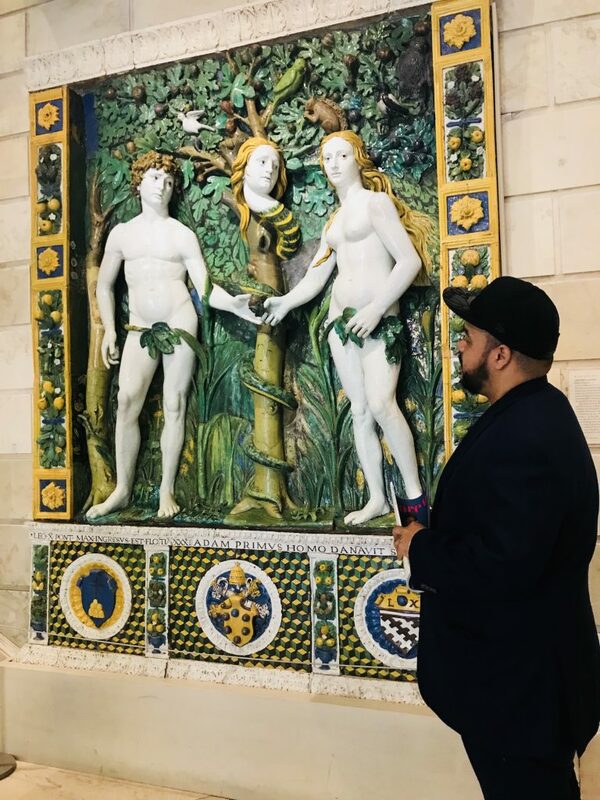 At the center of the sculpture court’s grand staircase, Della Robbia’s “Adam and Eve” (1515) is one of the largest in the Western world, depicting Eve as she receives the knowledge of good and evil from a snake with her own face in the Garden of Eden. Lugo points out the decorative framing element, a pattern of leaves around the edge of the relief sculpture and notes that he mimicked the pattern in homage for one of his new pieces. In Lugo’s “Ghetto Krater,” he uses black and orange glaze to depict interactions between police and people of color through silhouetted forms. “It’s the one I’m most worried about of all the pieces,” he admits. “In this country there is such an either/or way of thinking about the police. Either you’re pro-cop or anti- and there’s no subtlety.” In “Ghetto Krater” Lugo suggests that it is possible to support people of color and police, while holding them both accountable. 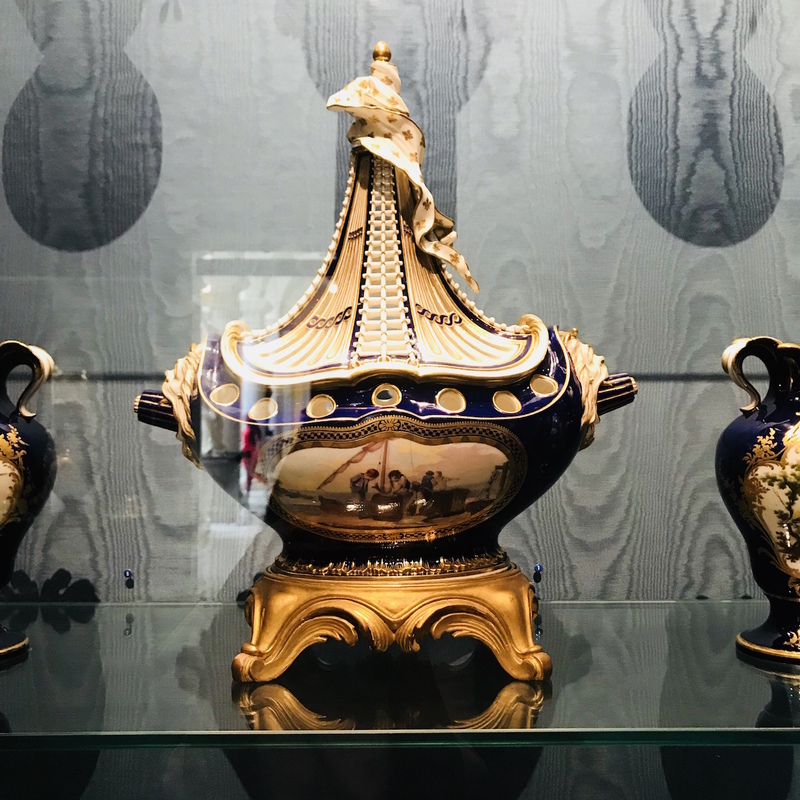 The artist points out a ceramic PotPourri Boat in the Walters’ permanent collection from 1764. 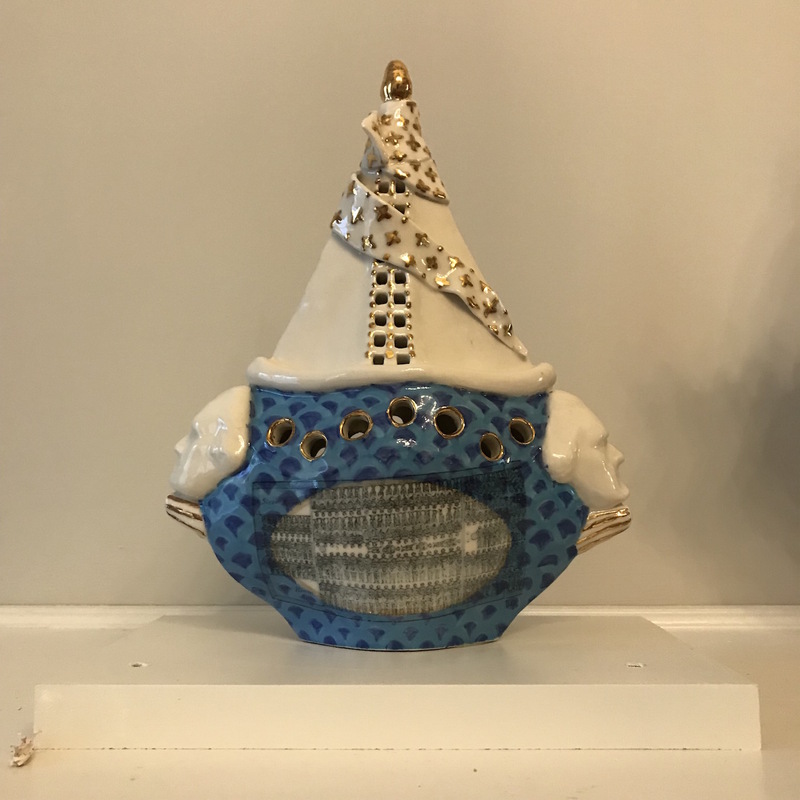 He chose this piece as inspiration for his own ceramic boat because of the great irony he found in the original. “The boat depicts life at sea but it was also a functional vessel to give off a good scent. However, at the time that it was made, slave ships were carrying people and using scent as a form of torture.” Lugo wanted to point out that the people who lived and worked in the house that is now 1 West Mount Vernon Place had a completely different relationship to those on board the slave ships, pointing out two simultaneous yet completely disparate realities that still inform American culture. 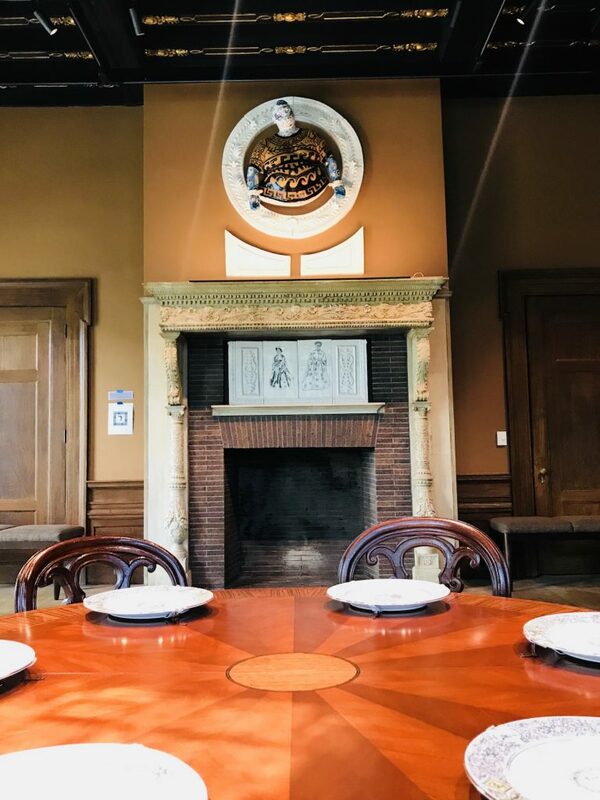 Lugo also says that his work was directly inspired by Baltimore’s history, starting with Sybby Grant, an enslaved cook who worked in the 1 West Mount Vernon Place home, whose historic letter to her owner, Mr. Thomas, was purchased at auction recently by The Walters. “I wanted to consider the implication of slavery on who we are as a nation today,” Lugo explains. 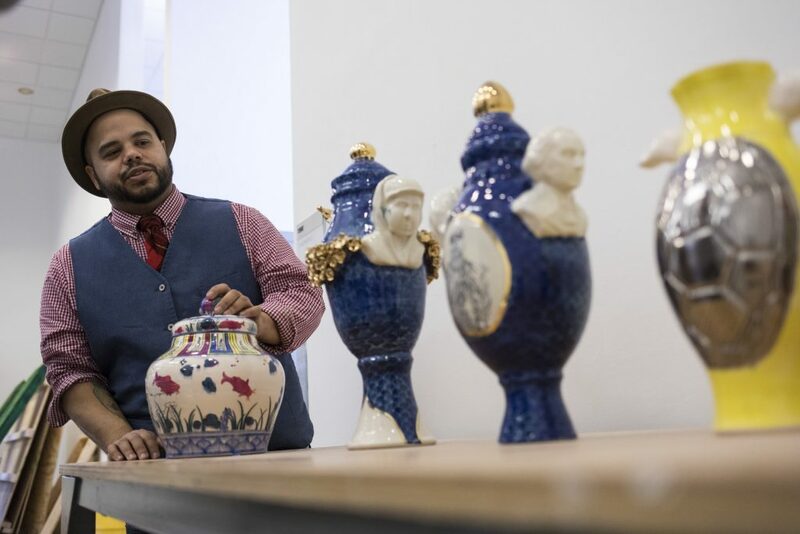 In homage to Freddie Gray, the artist created a series of five vessels dedicated to five different black men named Fred who have made significant cultural and civil rights contributions, including Frederick Douglass, civil rights activist Fred Shuttlesworth and Fab Five Freddy. Each features a vignette portrait of the subject, which he contrasts with images of the George Washington monument outside. 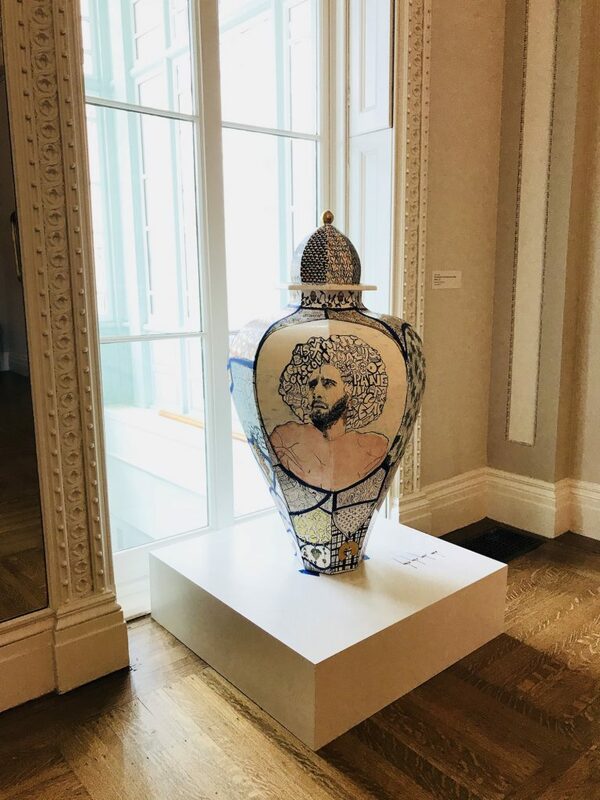 Lugo also included a large vase featuring Colin Kaepernick, attempting to tell a visual story of the ongoing struggle for civil rights in America. 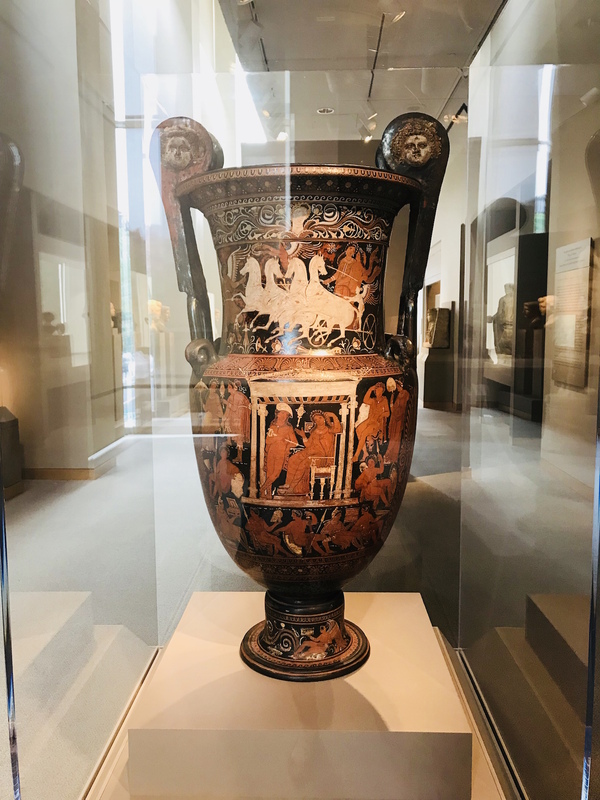 In any historic museum, creating a contemporary context is essential for an audience in terms of feeling an authentic connection to an object and the story it tells. Lugo’s exhibit contemporizes the art and artifacts at The Walters, and its presence reiterates that the artifacts present there are the art of someone else’s time but was once contemporary. Although the artist’s experience with controversy adds a log to the fire, in terms of motivating him towards his next body of political ceramic work, he remains positive about his role as an artist to effect positive cultural change. More information about the exhibition at The Walters.org.